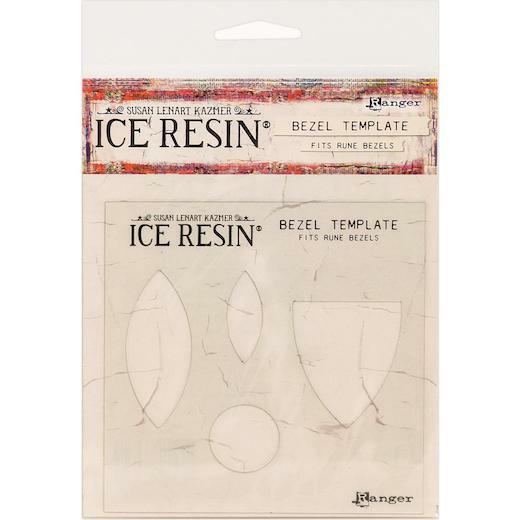 Susan Lenart Kazmer's ICE Resin Rune Bezel Template makes it easy to include ephemera, photographs, foil sheets and more inside a Rune bezel. Custom designed to the exact shapes and dimensions of the ICE Resin Rune Bezels, simply trace and cut selected images then adhere inside bezel. This package contains one 4¾" x 4¾" inch bezel template with four designs.